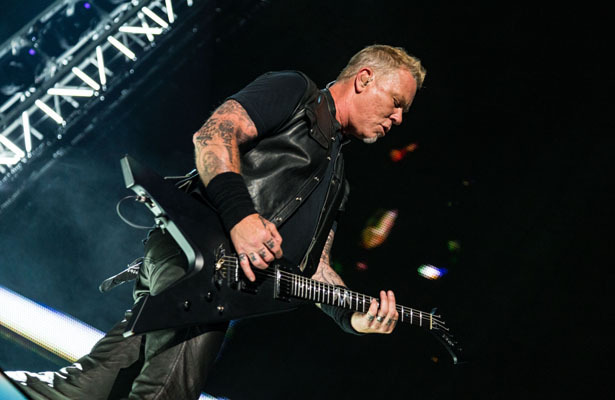 James Hetfield of Metallica was usually the center of attention at AT&T Stadium. 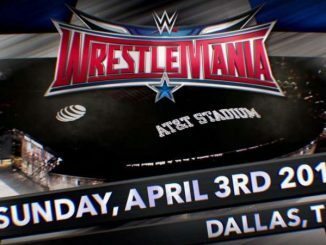 In the past Metallica performed at Texas Stadium in Irving (once as a make good show) and on June 16, 2017 has now broken in AT&T Stadium in Arlington. So it goes without saying that Metallica and the Cowboys organization are familiar with each other. The Metroplex welcomed the band with a hotter-than-hell temperature that had a heat index of 107. 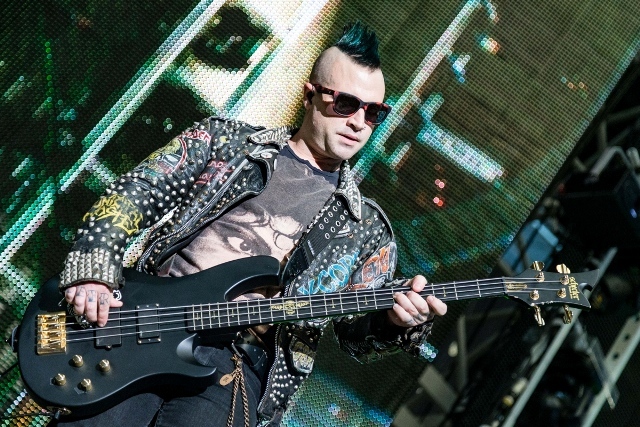 Bassist and backing vocalist Johnny Christ of Avenged Sevenfold doing his thing. Doors opened to Jerry World at 6:00 p.m. providing air conditioning and relief. Around 7ish, Avenged Sevenfold had attendees geared up with a performance that lasted a little over an hour. The band started off with The Stage and the crowd really got into Hail to the King. By the time their set was wrapping up with Unholy Confessions concertgoers were ready to let it all hang out. Prior to Metallica taking the stage, fans were treated to a special performance by Mix Master Mike of Beastie Boys. Then the beach balls got going and DeMarcus Ware (former Dallas Cowboys linebacker) along with the masses were ready for Metallica to take the stage. Almost like an ode to the Cowboys/the State of Texas/Wild, Wild West vibe, the concert began with a clip featuring Clint Eastwood from The Good, the Bad and the Ugly setting the tone for an anything goes night. 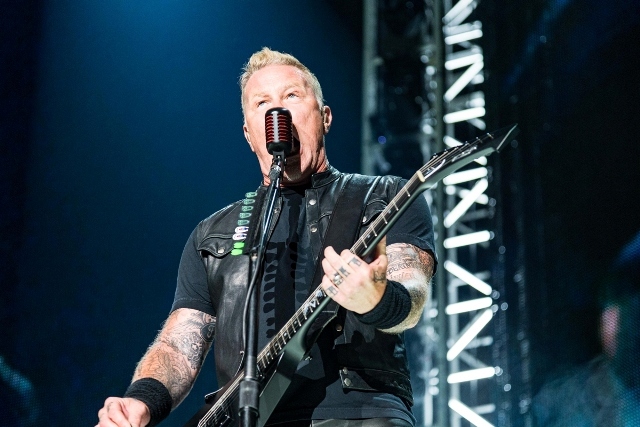 The stadium was filled from top to bottom with metalheads and for the WorldWired Tour, Metallica was prepared to over deliver on value with visuals of fireworks, fireballs, explosions and a huge, multipanel video screen. Metallica added to the frenzy by starting off their show with Hardwired, Atlas, Arise and For Whom the Bells Tolls. A nice mix of new and old. Those lucky enough to make it into the “Snake Pit” were treated to band members on the stage, catwalks and a raucous environment. The show must go on and it did with 18 songs performed in total. There was a nice mix of tracks from their early days such as Seek and Destroy, Master of Puppets and One to their latest with Moth Into Flame and everything in between with Sad but True, Fade to Black and Blackened. In other words, lots of headbanging. 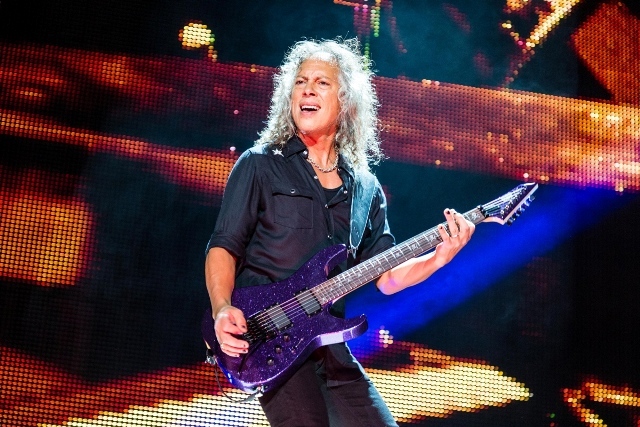 Ulrich during the encore mentioned the long history between the band and the Metroplex with a reference that Metallica first performed in the Big D back in 1985 at the Arcadia Theater on Greenville Avenue. 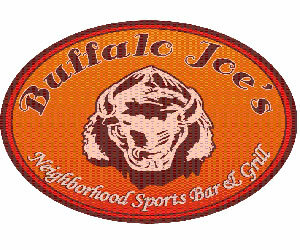 On the video screen flashed an old ticket stub and the crowd erupted into chants of more. Metallica did not disappoint when they closed out the show with Enter Sandman, handed out drumsticks and guitar picks. As attendees filed out, they were treated to a nice video montage of the Metroplex and events leading up to the Metallica show from throughout the day for the band. 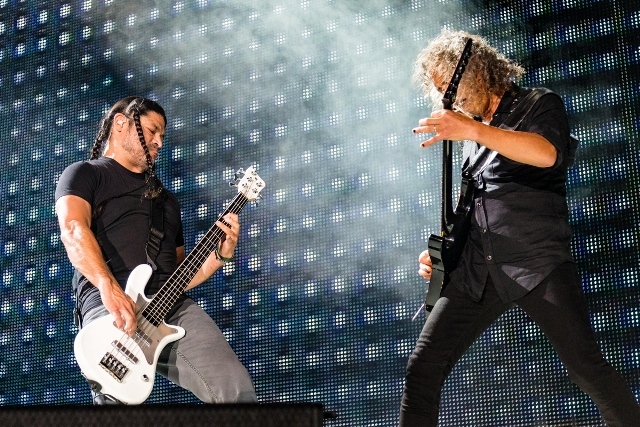 It’s hard to imagine that this relationship between Metallica and DFW started back in 1985. Thirty plus years of greatness for the band. Metallica put on an amazing show and at the end of the day, Nothing Else Matters.